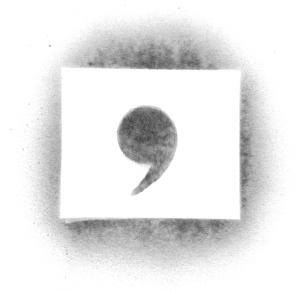 The comma is one of the most widely misused punctuation marks. For such a little punctuation mark, the comma causes an awful lot of confusion. Some writers are too liberal with commas, sprinkling them about like nuts on an ice cream sundae. Other writers hoard their commas and avoid using them whenever possible. Why are these punctuation marks so widely misused? Why are we, collectively, so inconsistent about where we place them? One style guide says use them, another says don’t use them. Even the experts can’t agree! But there are some rules about comma usage that we can all observe and agree on. A comma often indicates a pause, but some pauses occur without any assistance from commas. In fact, one of the biggest mistakes people make is to simply place a comma wherever they want the reader to pause. In natural speech we all pause at different places, so this is not a prudent way to decide where your commas go. Instead, let’s look to the rules. Unfortunately, the rules surrounding commas aren’t always clear. Comma placement is often a matter of style and personal (or editorial) choice. One could write an entire book on how to use commas effectively and correctly. Today, we’re just going to look at the basic rules. Use a comma to separate three or more elements in a series (including items in a list). The comma that comes before the conjunction in a list is called the serial comma, and it’s recommended but not required. A comma should be used to separate coordinate adjectives. Coordinate adjectives are a series of adjectives that modify a single noun (in “the big, black dog,” big and black are coordinate adjectives). Use a comma to separate contrasting elements and if-then statements. Here’s a contrasting statement: I am writing a book, not an essay. Here’s an if-then statement: If I write a book, then I will have to market it. Use a comma before a conjunction to connect independent clauses. An easy way to remember how to identify an independent clause is that it can stand alone as a sentence (a dependent clause cannot). Here’s more information on commas and clauses. Commas should be used to set off introductory elements, short phrases that introduce sentences. Here’s an example with the introductory element in italics: As I was writing, I gave careful consideration to comma placement. Use commas to set off parenthetical elements. A parenthetical element often gives extra but unnecessary information and could be deleted without changing the core meaning of a sentence. Here is an example with the parenthetical element shown in italics: The writer made a list of books she wanted to read, mostly books on grammar, and then proceeded to order them. Parenthetical elements includes names: The writer, Jane, wanted to read a lot of books. Commas are heavily used with quotation marks. They should be placed after a dialogue tag when the dialogue follows the tag and should be placed at the end of the dialogue when the tag comes after the dialogue. The biggest mistake writers make is using a comma for a pause. Some people are actually taught to read their work aloud and then just place commas where all the pauses go (just thinking about it makes me shudder). That is surefire way to get your manuscript all marked up in red by your editor. And if you don’t have an editor, it’s a surefire way to drive readers crazy. Too many punctuation marks in a piece of writing are like rocks in the readers’ shoes. They are distracting and uncomfortable. Too few punctuation marks are like wearing shoes without traction on a slippery floor. 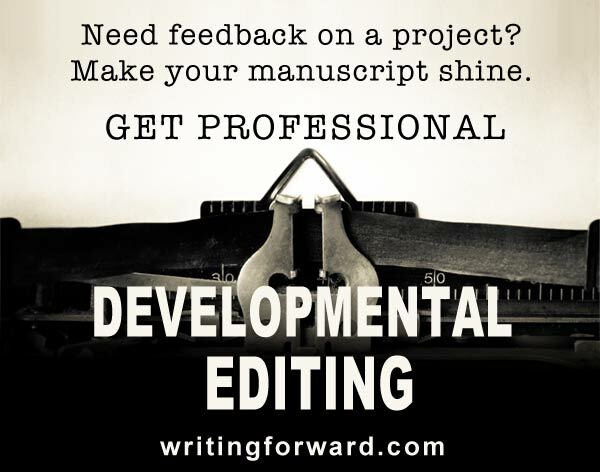 Readers will slide all over the place and have trouble following your ideas. Use commas and all other punctuation marks wisely. And keep writing. Yes, some grammar constructions leave us shuddering and gritting our teeth. Commas really are the hardest to master, so I understand why they’re thrown around so carelessly. But eek! It’s like fingernails on a chalkboard! The rules are extremely vague. I have to agree with that advice at a basic level — if you’re just learning English, it’s probably better to use fewer commas. Time is better spent learning vocabulary and sentence structure than comma placement. However, more advanced ESL students should study the comma rules and also consult style guides. Of course, ESL students who are working to truly master English or who want to write in English should be reading grammar and style guides that are more generalized and not for ESL at all. I have always been a writer who has gotten by with only using “my ear” for writing, and nothing more, basically flouting the need to really understand grammatical structure and managing to still pull As in all my classes. However, now that I’m out of college and have to rely on myself as the only English teacher I have lying around, commas are starting to come out of the woodwork and confuse me a bit. I understand the general rules for sure, such as listing items, introductory items, combining two independent clauses as long as there is a conjunction thrown in, etc. I just don’t particularly understand why the above sentence is written the way it was. I’m not by any means saying it’s written incorrectly, but if I had written it, I probably would have put a “which are” after the comma, or maybe even a hyphen. I know many writers use commas as you did in this sentence, and simply want to know how it works! Yes, the example you called out would be more proper with “which are” placed directly after the comma. I too used my ear for most of my life (and still do sometimes). It has only been the last five years or so that I’ve gotten serious about studying grammar more closely. I find The Chicago Manual of Style extremely helpful in this effort. The absence of “which are” in the sentence above is perhaps a minor violation of the rules, but I skipped “which are” to make the text more readable or casual. The comma, however, stays in place.